Copyright © 2001 by Feng Yuan (author of Windows Graphics Programming: Win32 GDI and DirectDraw, www.fengyuan.com). All rights reserved. 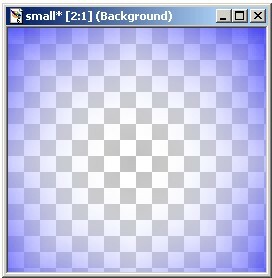 How to use AlphaBlend, with constant alpha, with per-pixel alpha channel, and with external 32-bpp bitmaps. As no image processing package is known to be able to generate 32-bpp BMP file, which is the native bitmap format supported by GDI, TGA, the simplest bitmap format supporting alpha channel is used. For example Jasc Paint Shop Pro can generate 32-bpp uncomressed TGA files with a single 8-bit alpha channel. TGA files can be easily loaded into a Window program, to create a 32-bpp DIB section, which can be used by AlphaBlend. 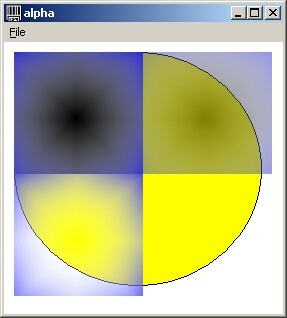 The alpha channel can be pre-multipled to RGB channels to generated pre-multiplied 32-bpp bitmap needed by AlphaBlend to enable per-pixel alpha. Uncompressed TGA file is extremely simple. For example, 32-bpp uncompressed TGA file generated by Paint Shop Pro consists of 18-byte header, image pixel array, and ignorable footer with creator information.